Occasional pilots, beginners and ambitious amateur pilots. S.I.V. 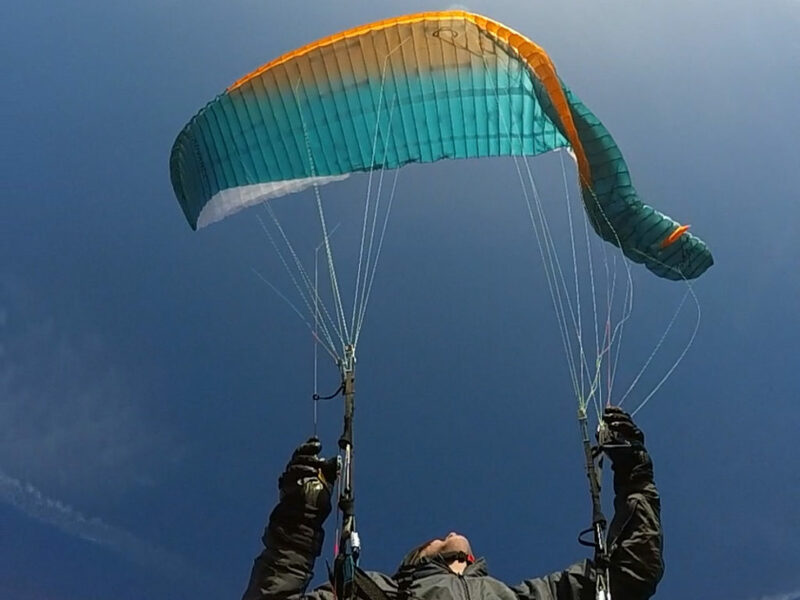 – Simulating Situations in Flight gives the pilot a dynamic reaction to recover his/her paraglider to normal flight from unexpected situation, with an instructor’s guidance. The aim for that, preparing the pilot to react properly to an unexpected or dangerous situation while flying. The main purpose of this course is working on all the basic simulated situations you can have in flight and decent techniques. Once these are mastered you can progress to fly and practice the full stall which will allow you to evolve into freestyle/acro flying. We are supplying a manual and syllabus about the SIV and freestyle maneuvers. Every pilot, weather it is your first time or you have done the SIV and progressed to a Freestyle pilot, you will need to go through our Intro and safety briefing on Thursday morning (8:00 am). After the first briefings, we will check the equipment and harness and will do another indoor lesson about SIV flying tasks and creating a program for each participant. After all the Ground school sessions we will head out to Whitetail Lake and will get started with some regular flights at Whitetail Lake. We plan to film all the launches and do some video analysis later in the afternoon/evening. In the evening of the first day we will create for each pilot their own program to get to what they want to achieve in this course. The next 3 days (Friday, Saturday and Sunday) we will start with a morning briefing at 7:00 am and do about 3-4 flights until noon’ish and do the video analysis in the afternoon. Starting Thursday July 4 at 9:00 am at the Invermere Airport in Hangar 5. Camping site at Whitetail Lake, shuttles to the takeoff site, SD card (videos) with all of your flights, radios and basic PFD’s. Dinners – Thursday, Friday and Saturday. Breakfasts and lunches – Friday, Saturday and Sunday . Cost … will be updated as soon we get the price from Patrick Stettler, who will be the caterer.